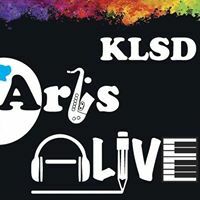 Minutes: KLSD ArtsALIVE Board of Directors Meeting, November 5, 2018 – KLSD Arts Alive! KLSD ArtsALIVE Co-President Colleen Cerami called the regular meeting of the KLSD ArtsALIVE Board to order at 7:00 p.m. at the John Jay Middle School conference room. Colleen noted since a quorum was not established, it was decided to hold off on any voting for this meeting including the minutes from the October meeting. Concerning a previous grant request, Vinnie Bell reported that the JJHS art teachers will support art students attending the forensic art class presented by a guest artist. The science teacher is also supportive of having the art students participate. This detail is important as it was a key factor in deciding on the grant request. Colleen welcomed Monica Bermiss as the official liaison for John Jay Middle School and noted that Monica and Sorin have met recently. 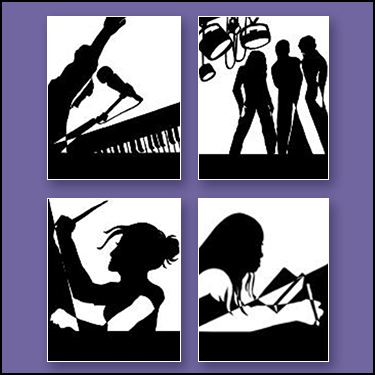 Monica discussed opportunities for ArtsALIVE to become more part of the culture at JJMS, such as MS students participating in a HS concert or performing in a daytime concert rather than in the evening. Monica shared a potential activity that involves a local artist in collaboration with dancer and DJ. She said it’s a very different and unique artistic experience; a painter paints a dancer who dances on a canvas while the DJ plays hip-hop music. The DJ can also go into the history of hip-hop. Students could attend during one academic period during the day. It’s possible this activity could go through BOCES to share expenses. Colleen reported that the membership drive is compete. Amanda has been working on pulling up all members and contacting producers to give them the option to have shining stars. This should be finished by November 17th. Colleen reviewed the upcoming events at JJHS and JJMS. A sign-up has been sent out for concessions, both to provide baked goods and to help cover the sales table. Liz will purchase the flowers for both the HS and MS shows. Help is also needed to sell flowers. Coleen and Maureen provided an update on the initial Smart Art seminar. While the event raised $124, we ran a $1376 deficit due to related expenses; the speaker should be giving AA some of the proceeds from her book sales; about 20 people attended the event; it was suggested to always have an evening event on a Thursday. It was decided that future Smart Art seminars will be discussed at next board meeting. There being no other business to discuss, the meeting was adjourned by Colleen at 8:15 PM.